Click the button below to add the Copper Bathtub 'Patina' to your wish list. Patina copper tub is up for sale with five different finishing options. Select light honey, dark coffee, natural rustic or antique. One wall of the tub higher than the other makes this tub single slipper type. Drain hole is located on the center and can it can be connected with built-in drain back system. It is made of copper and prevents bathroom flooding. 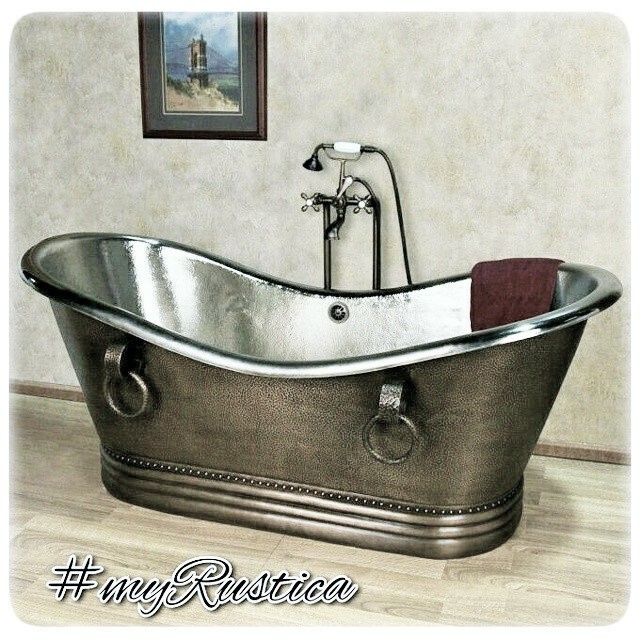 Select copper tub size and patina finish from the manu below the price prior to proceeding to Rustica House checkout.